Dragon lets you dictate documents, search the web, email and more on your computer — quickly and accurately — just by using your voice. You don’t even have to lift a finger. You talk and your computer types. 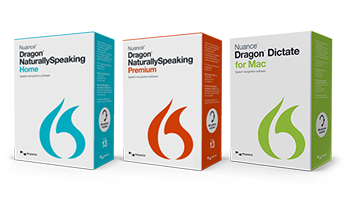 It’s that simple with Dragon speech recognition. Thoughts instantly become words so you can get more done in less time, and with accuracy. 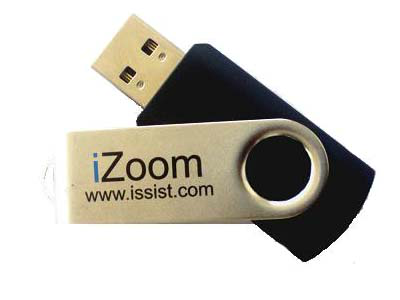 Allows you to use a mouse or other pointing device without clicking buttons. Dwelling is resting the mouse over one area of the screen for a specified time. Using Dwell Clicker 2, you can left-click, right-click, double-click or drag, all without physically pressing a button. 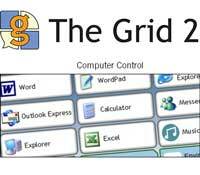 The Grid 2 replaces your keyboard, so you can type into other programs, write Word documents or emails, use the internet and more. The Grid is accessible with switches, touch screen, TrackerPro, joystick... and many more. All of these can be used for Computer Control. The Grid 2 also replaces your mouse, so you can move the mouse and click anywhere on the screen. The Grid 2 uses smart techniques to speed up access. For example, using switches with The Grid 2 you can access a menu item in a program (e.g. saving a document in Word) by moving the mouse to the File menu, then clicking, moving to Save and clicking again. This works, but is quite slow. The Grid 2 also allows you to scan the menu directly - so you scan across to File, and then down to Save. Much faster! Overlay Maker 3.5 transforms the IntelliKeys® keyboard into a curriculum access device, opening up a world that was previously closed to many students with special physical or cognitive needs. Overlay Maker allows users to create custom overlays in just minutes for individualized needs and greatly expands the capabilities of the basic keyboard. 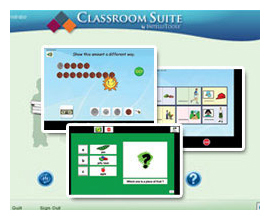 Classroom Suite is a unique software intervention tool developed upon the principles of Universal Design for Learning (UDL) that combines two educational paradigms—systematic, explicit instruction and flexible creativity tools. Teachers have control over specific learning objectives, allowing differentiated instruction for individuals or groups to help students in grades PreK-5 achieve mastery in reading, writing, and mathematics. Early learning activity templates for skill development and assessment of emergent learners. Accessible books that are easy to author with sounds and animation. Math word problems with supported cues and calculator for beginning addition and subtraction. Comprehension tests that address one, two, or three possible choices to support students with a variety of cognitive levels. Student selects picture or text. Multiple Choice templates with 3 or 4 choices using letters ABC or ABCD. Sequencing assessments using letters, numbers, images, words, phrases or sentences. Spelling tests with auditory prompting, and visual cues to support student practice. Fill in the blank assessments containing text, sound, and image support for struggling students using customizable word banks. Pre-authored reading activities from letter name identification through phonemic awareness and phonics. 398 activities (KK: 118; Level 1: 138; Level 2: 142), for a total of 26 hours of instruction. Targeted instruction covering K through 2nd grade basic reading concepts. 30 units covering the grade level content organized and sequenced by concept. Activities involving matching, blending, and manipulating phonemes; as well as letter sound correspondence. Targeted set of math instructional activities to help students achieve mastery in addition, subtraction and learning money. Nearly 60 pre-made activities, 12 hrs of sequenced instruction. Targeted instruction in critical math concepts. 6 short units (approx. 2 weeks each) provide teacher with flexibility of use. Alignment with national math standards. 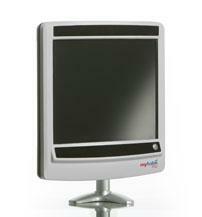 Thin Panel touch screens are lightweight and when mounted on an adjustable arm can be positioned in many different ways for people with vision problems or difficulty with reach to touch a touch screen. Use one of these if you need to get the screen closer to you or if you want to quickly adjust the height of the screen. Also, some activities work best with a touch screen.